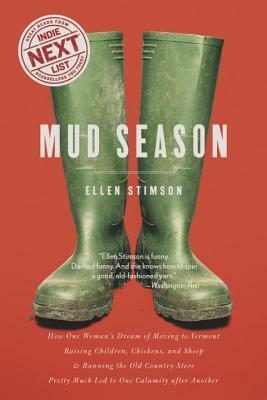 In self-deprecating and hilarious fashion, Mud Season chronicles Stimson's transition from city living to rickety Vermont farmhouse. When she decides she wants to own and operate the old-fashioned village store in idyllic Dorset, pop. 2,036, one of the oldest continually operating country stores in the country, she learns the hard way that improvements are not always welcomed warmly by folks who like things just fine the way they d always been. She dreams of patrons streaming in for fresh-made sandwiches and an old-timey candy counter, but she learns they re boycotting the store. Why? The bread, they tell her, you moved the bread from where it used to be. Can the citified newcomer turn the tide of mistrust before she ruins the business altogether? Follow the author to her wit's end and back, through her full immersion into rural life swapping high heels for muck boots; raising chickens and sheep; fighting off skunks, foxes, and bears; and making a few friends and allies in a tiny town steeped in history, local tradition, and that dyed-in-the-wool Vermont character.